This samsung laundry pair from RC Willey comes in a classic white finish. Modern Samsung style and features make this top load washer and electric dryer the perfect additions to your laundry room. Get it today and change the way you think about doing laundry. With a top load washer and an electric dryer, this duo is tough on grime and gentle on fabrics. Get it today! 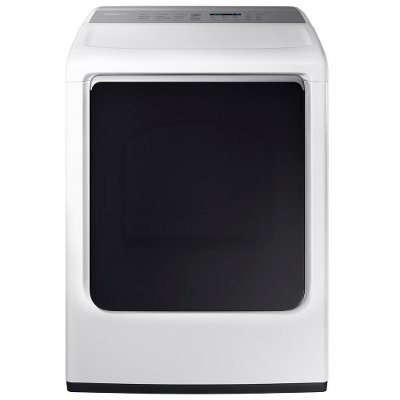 This Samsung Top Load Washer from RC Willey is the perfect washing machine for your home. 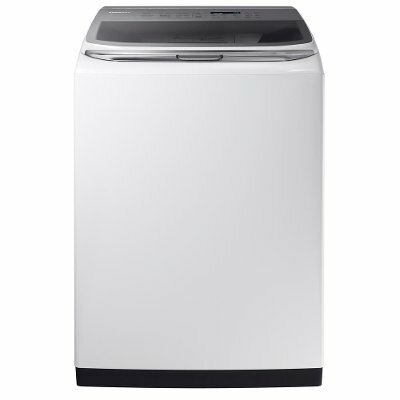 With a classic white finish and modern design, this washer will look great in your home. Get more done in less time with a large capacity and with an ActiveWash sink built right in, you can wash more efficiently than ever. This White Samsung 2017 ENERGY STAR certified dryer is eco-friendly and energy-efficient. Bring it home from RC Willey today and transform your laundry day! Advanced features like Multi-Steam technology gives you the ability to steam away wrinkles, while the integrated seamless touch control panel, that is built into the lid, eliminates the traditional rear panel for a sleek look. Vent Sensor detects blockages and reminds when to clean your vent for optimal drying performance.